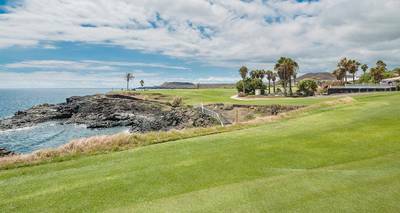 Golf Las Americas is in a privileged setting, sitting as it does, in a natural ampitheatre, with a dramatic backdrop of mountains to the back and views across the sea to La Gomera at the front. 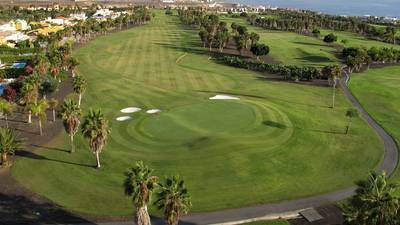 A very gently sloping course, protected from the wind by the surrounding range of hills which create a pleasant environment. 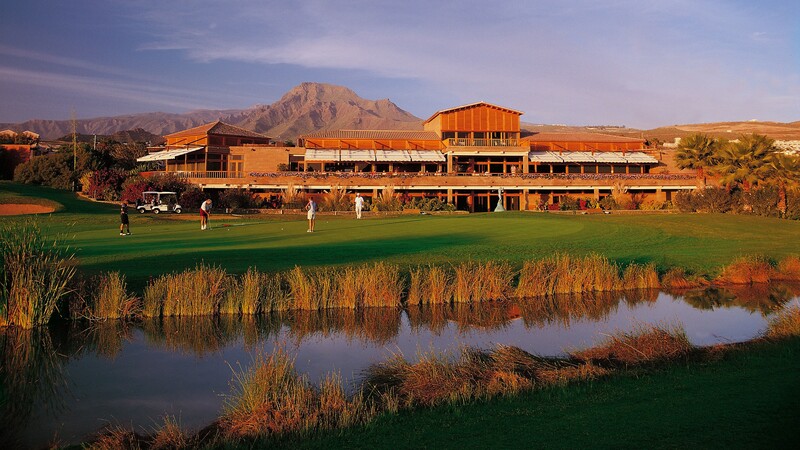 The course opened in 1998 and was designed by John Jacobs & Associates. 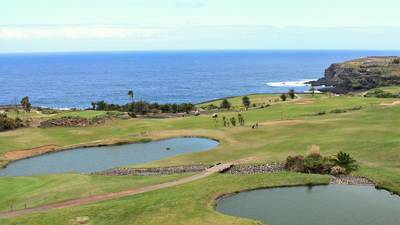 The designers gave priority to the obstacles on this exceptional golf course that is maintained to the highest standard and many holes have attractive water features which are home to breeding families of ducks, geese & swans. 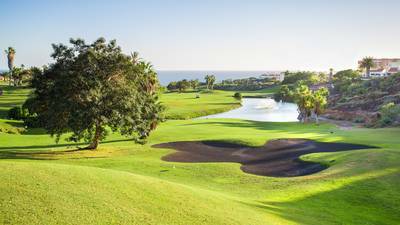 Once on the course, it is hard to believe that the hustle and bustle of Las Americas and Los Cristianos, Tenerife’s main tourist resorts, is only a stone’s throw away. One of the most notable features is its streams, ravines and lakes which cross the course; water comes in to play on the 1st, 2nd, 3rd, 5th 12th, 13th, 17th and 18th holes. The club house which is set overlooking the 18th green and the 1st and 10th tee has fantastic facilities for its guests including a good restaurant, shop, TV room and locker and shower facilities.